This is a quick and easy, no-stress & no-bake chocolate berry love cake to wow your Valentine! Chef Led, owner of The Green Table Cafe in Los Angeles created this especially for my community. Led is extraordinary. 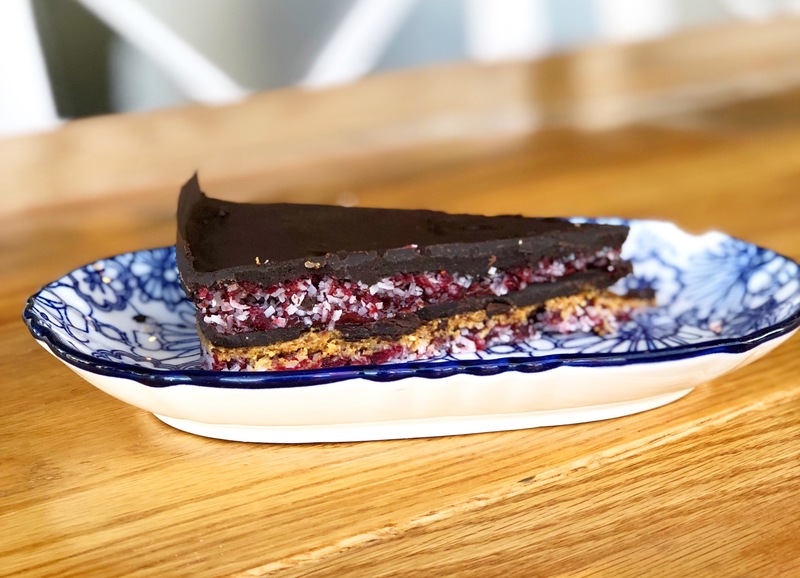 He has created an incredible vegan foodie community in the heart of Los Angeles, and is attracting non-vegans like no tomorrow … because his food is so delicious and healthy. In a food processor, pulse cranberries, coconut flakes, vanilla, 1 tbsp coconut oil, salt. Spread over a layer of raspberry jelly, freeze. In a bowl, place 1 cup cacao, 1 c coconut oil, 1/2 cup maple syrup, salt. Mix to form creamy consistency. Top with berries and lay on top of pie.